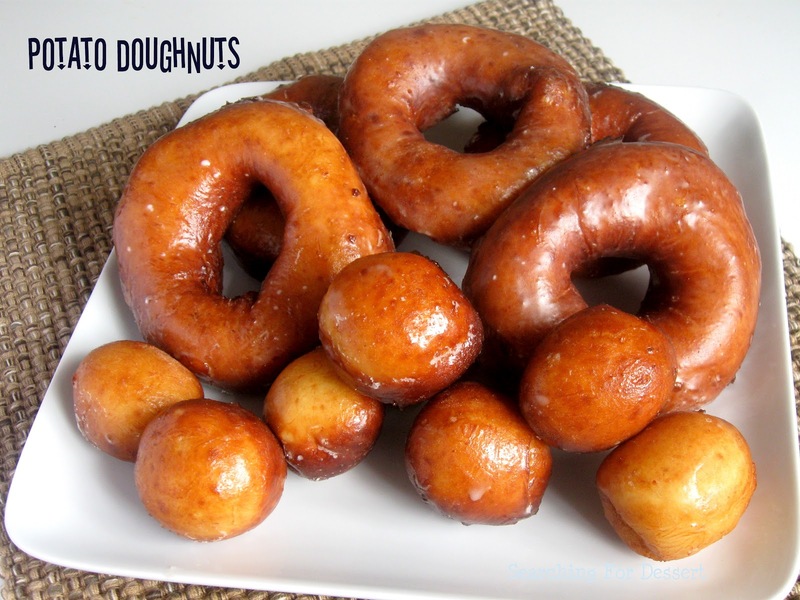 Are you looking for a doughnuts that are soft on the inside and have that warm, crisp and sweet glaze? You're in the right place. These are reminiscent of Krispy Creme doughnuts in regards to the glaze but not the doughnuts. 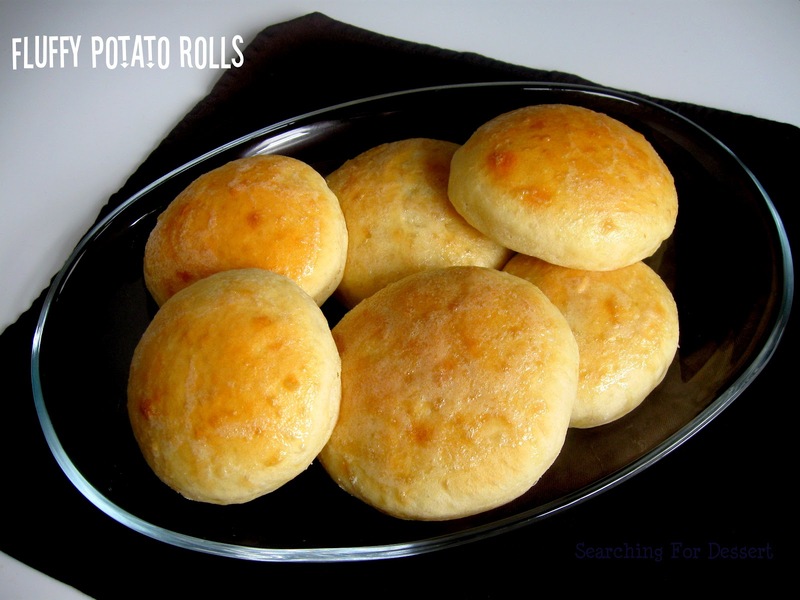 The doughnuts are made with mashed potato which adds to their light and fluffy texture. These are definitely best to make for a crowd. Otherwise you will want to just sit and eat them all because they melt in your mouth. I am always looking for new and refreshing side dishes to go with dinner in the summer. 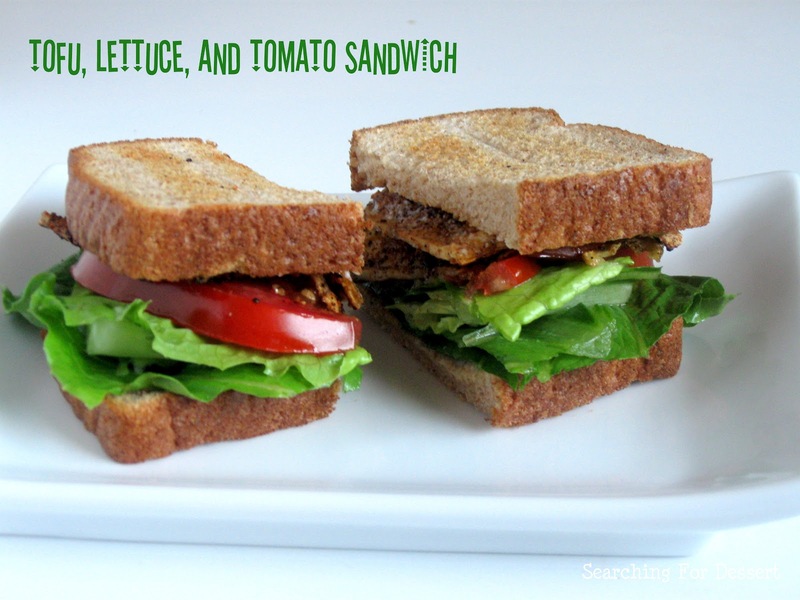 Having a recipe that is easy to put together makes me much more likely to prepare it. I also love the fact that this recipe can be made ahead and it is served chilled. 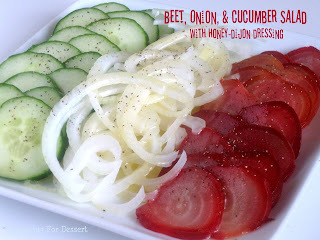 I used Chioggia beets for this salad which have a really pretty presentation. They have the best presentation when they are raw because of the rings inside them but as you can see they are still really pretty, even after cooking. I had some extra egg yolks and nothing to do with them. So sad, I know. So, I decided to make creme anglaise. Then of course I had to decide what to put the creme anglaise on, another problem, I know. What sounds better than blueberry cinnamon rolls? I don't know because these are pretty awesome. 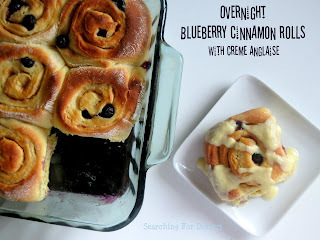 Maybe overnight blueberry cinnamon rolls? Fresh blueberries give these a burst of flavor with a hint of cinnamon and lemon. 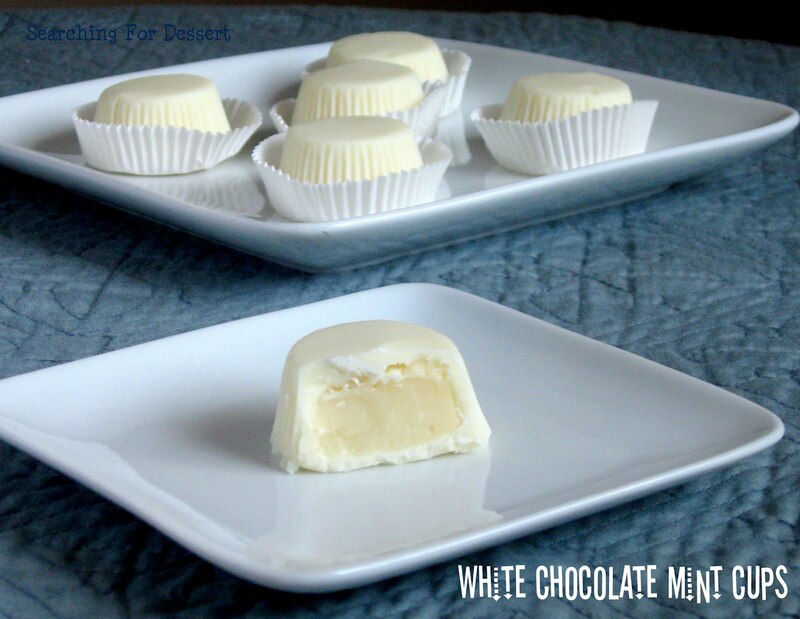 The creme anglaise adds a light vanilla flavor to these that my husband likens to melted vanilla ice cream. I feel like that's a good thing because vanilla ice cream is awesome. Especially when it has the vanilla beans in it like this does :). I am a huge fan of individual desserts, there's no cutting, and everyone gets one! Sounds perfect to me. 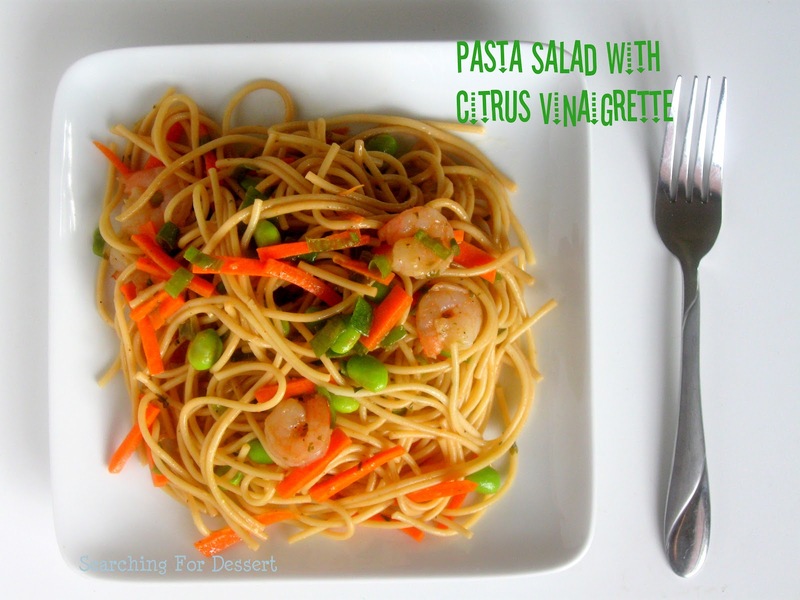 This dessert is being posted as part of the Improv Challenge this month (more on that below). Cherries are starting to be on sale at the grocery stores around here which is exciting to me. Cherry is one of my favorite flavors, although of course the artificial cherry flavor is nothing compared to the sweet and juicy actual cherries. 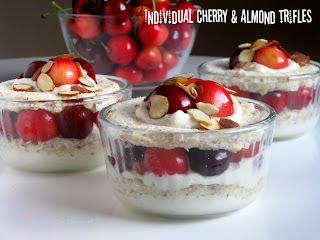 For this dessert I used a blend of red cherries and Rainier cherries and I think it worked out really well. I also thought it would be fun to use almond angel food cake instead of plain angel food cake. These little brownie bites are so cute and suspiciously reminiscent of Black Forest Cake. I didn't plan it that way but that's how they turned out. 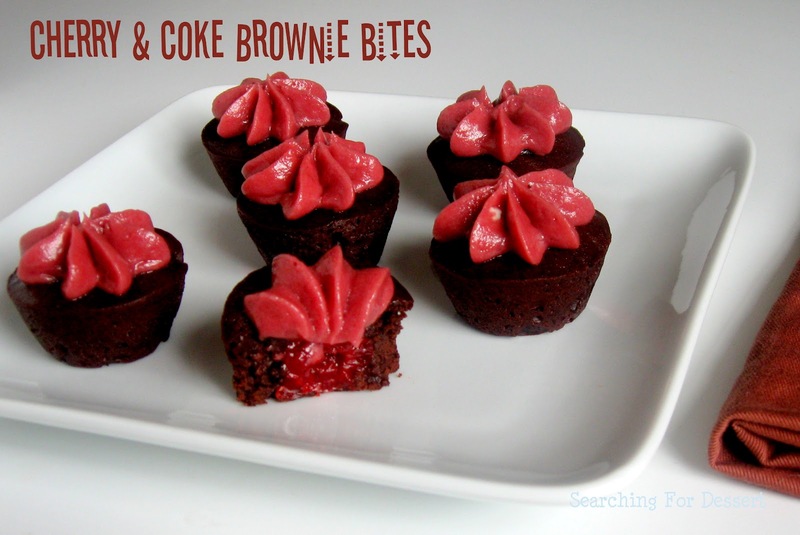 I made these with Coke to put a twist on a Coke Cake with Coke brownies as my goal. I think the cherry in the center looks pretty and really adds to the cherry flavor of the bites. The star shaped frosting also makes adorable flowers if you wanted to go that direction. I put white centers in a few of them (I didn't take pictures though) and they were really cute. 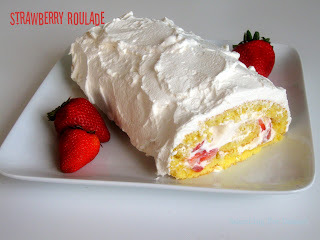 Delicious strawberries are starting to come into season now and this is the perfect time for a strawberry filled dessert that is frosted with cool and fresh whipped cream. This cake is made with a basic genoise cake which is light and fluffy. The best thing is that this cake can be put together on a busy day the the active time isn't much. We used to live a few minutes from a strawberry picking patch but we never went and that would be so much fun. We also lived near several apple orchards and we did go apple picking. Since I'm already off topic I will say fresh apple butter from an orchard is the best! So. good. Happy National Doughnut Day! You didn't think I would miss it did you? 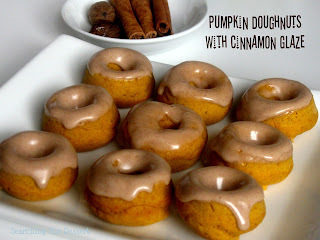 I made delicious pumpkin doughnuts with cinnamon glaze just for you all (or y'all, whichever you prefer :) ). These doughnuts may seem out of season but it's always nice to have a taste of pumpkin no matter what time of year it is. The cinnamon glaze is really what makes these though, it's so smooth and offers a touch of cinnamon flavor. These cuties are baked and not fried which automatically makes them better for you! and they have pumpkin which is healthy, yes? Yes. 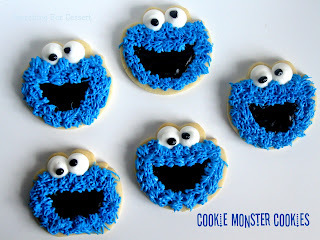 So, these are a healthy treat (or at least that's what I'm telling myself).